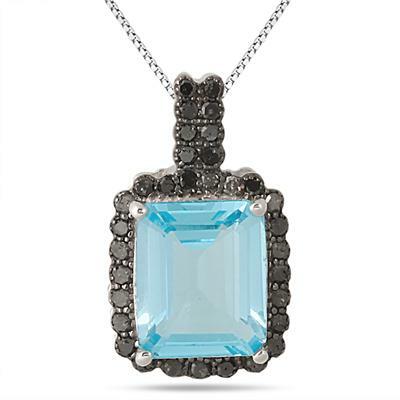 A stunning 12x10 all natural emerald cut blue topaz is surrounded by 33 genuine round black diamonds on this one of a kind genuine gemstone pendant crafted in solid .925 sterling silver. 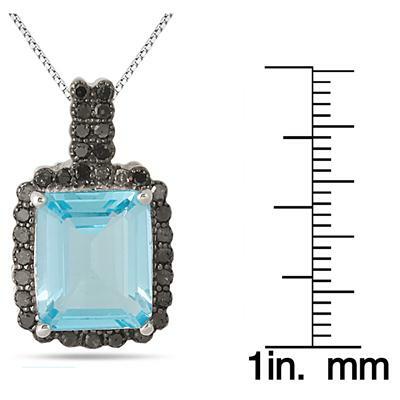 33 black diamonds weigh a total of 0.56 carats with no visible surface inclusions. 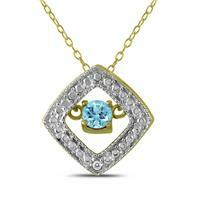 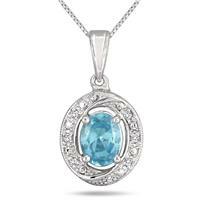 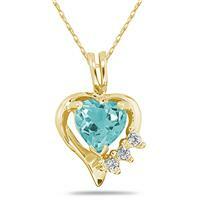 The blue topaz weighs 7.15 carats and has flawless clarity and brilliant blue color. 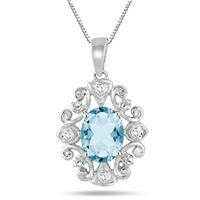 A wonderful piece that is sure to turn heads. 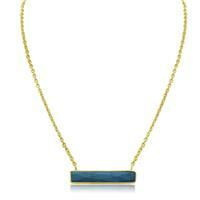 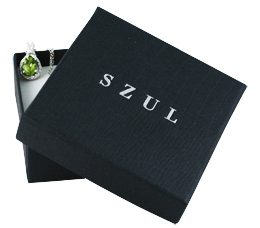 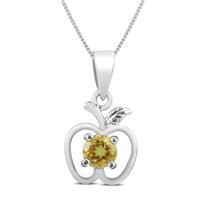 The pendant measures 24x14 MM for a LARGE look and hangs from an 18 inch chain also crafted in sterling silver.